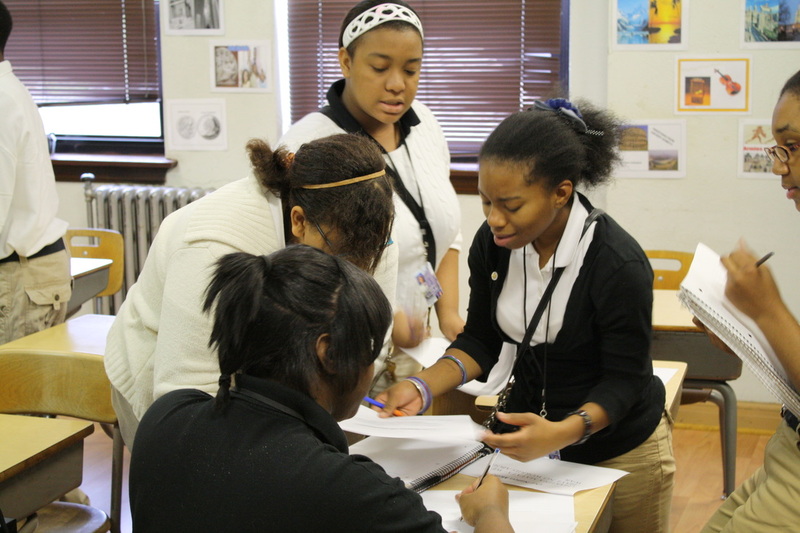 In order for students to be at their best, they must know how to achieve the learning outcomes for a given class. 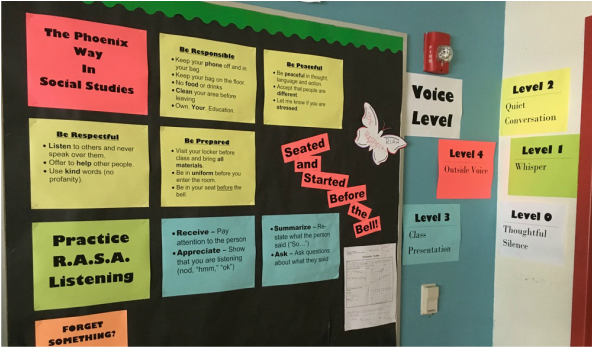 Because my students and I agree on a set of expectations and target standards at the beginning of the year, we are able to maximize class time and minimize disruptions to the learning environment. I display student work on my walls, and update it as much as possible. 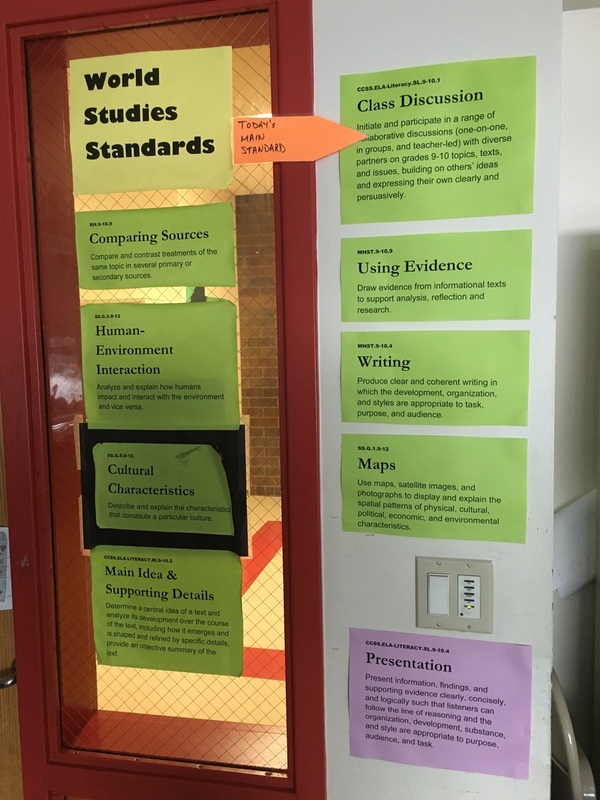 Students like displaying their work, and in a pinch, they can look at the wall for inspiration - they always know what quality work looks like! 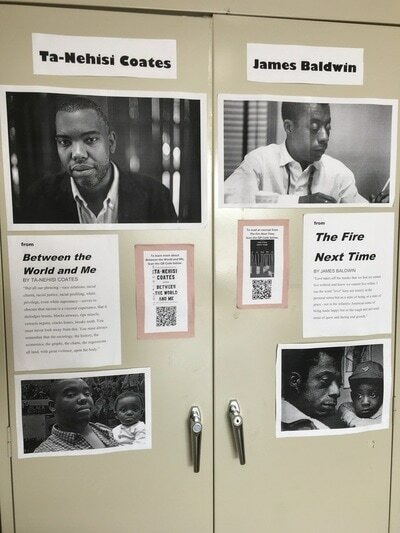 I also display links to relevant classroom resources - ​like our class blogs - and q/r codes for books I'm reading. That way, interested students can go online with their phones for a preview. The short answer? They don't, or at least not always. 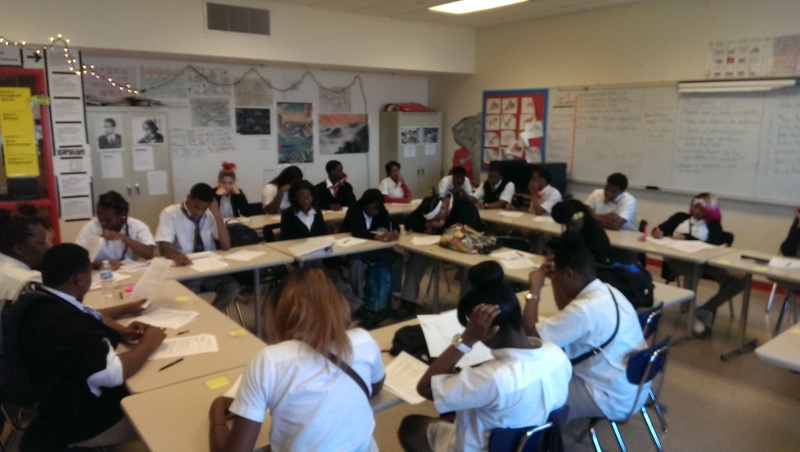 My students learn early in the year that their seating arrangements change with the learning objective. It might throw them for a loop at first, but they quickly adapt to the idea that different activities require them to move out of their comfort zones.